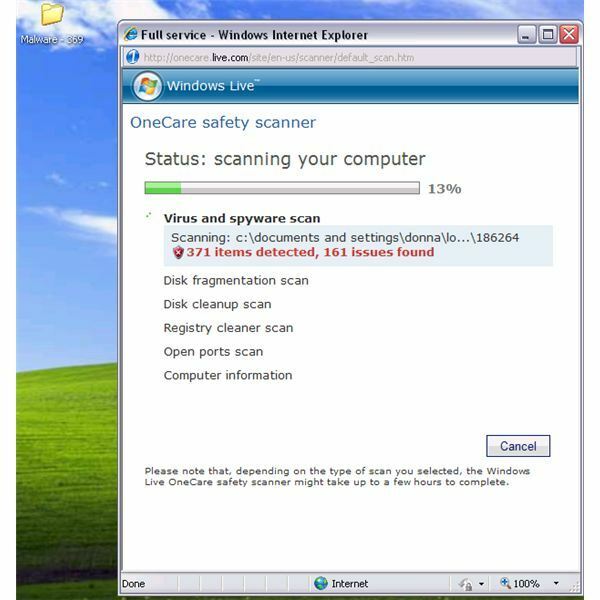 The free online virus scan from Windows Live OneCare safety scanner will check the health of your PC. Firefox users can also enjoy this online scanner from Microsoft. Find out how to use OneCare Live safety scanner in the article below. Virus and malware scan - The online free scan offered by Windows Live safety scanner will check the PC for viruses, malware and unwanted software. The scanner offers free removal of detected and malicious files. An option to run a full, quick or custom scan is available. Performance scan – The scanner will also check the status of your hard-disk and will defrag the system, if needed. It will also scan the PC for unneeded or temporary files and run a clean-up to free up system space. A free registry cleaner is also offered by OneCare safety scanner which automatically creates a system restore point before fixing or cleaning the registry for errors or unneeded registry keys left behind by removed software. Network safety scan – Windows Live safety scanner will run a port scan to check for any open ports that hackers might use to sneak onto your network or home PC. Computer updates and installed programs – A quick scan for missing critical security updates in Windows and other Microsoft programs. Note that Windows Live OneCare safety scanner is not the same Windows Live OneCare program. The latter is the subscription-based program for Windows which is now discontinued by Microsoft. 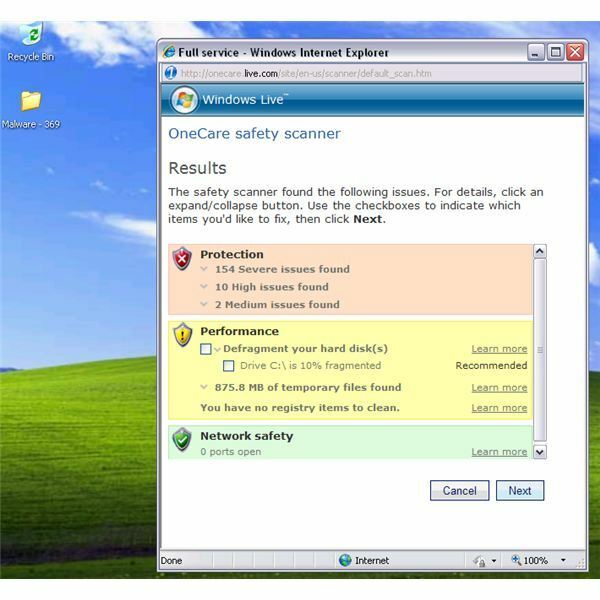 OneCare safety scanner is a free service offering online virus scans for Windows customers. If you have Windows 7, Vista, XP or Windows 2003 operating systems with a Firefox or Internet Explorer browser, you can run a free online scan from Windows Live OneCare. Firefox users only need to install the IETab add-on that is located on the Mozilla add-on website to run the free virus scan. However, IETab is currently not available for Firefox v3.6.8 at the time of this article. You might want to wait for the developer of IETab to add support for Firefox v3.6.8. You can just use IE7 or IE8 to use the scanner. Please note that you also need to temporary disable the pop-up blocker in the browser before running the online scanner from Microsoft. 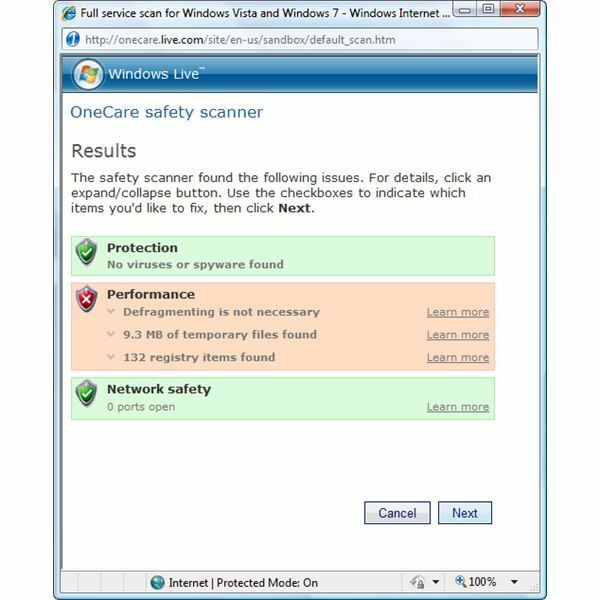 Windows XP and Windows 2003 users with Firefox or IE should only visit the homepage of Windows Live OneCare safety scanner in http://onecare.live.com/site/en-us/default.htm. 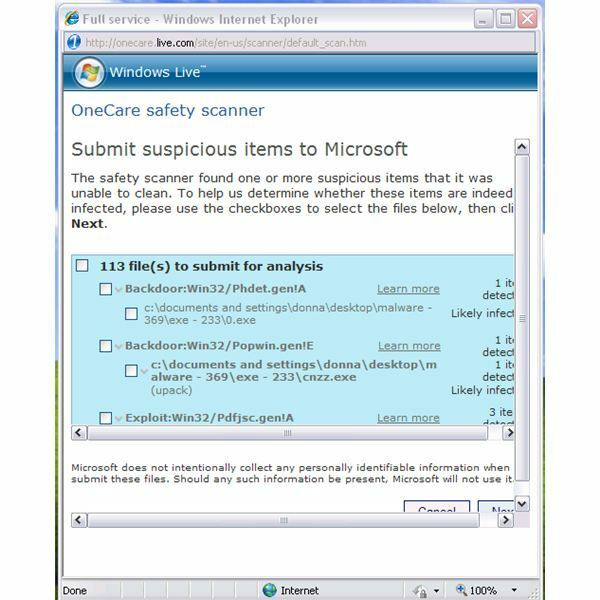 Windows 7 users should visit the OneCare safety scanner at http://onecare.live.com/site/en-us/center/whatsnew.htm. 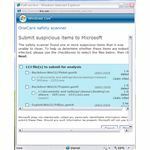 Windows XP and Windows 2003 users may only run a virus, clean-up, tune-up scan or full service scan. Windows Live OneCare safety scanner will only download the necessary scanner when you choose to run a specific scan. However, Windows 7 and Vista users can only use the full service scan with the option to uncheck other scans after launching the scanner. ActiveX will be downloaded onto the computer to continue using the OneCare safety scanner and we can determine that it was installed via Add or Remove Programs in Windows or by viewing the add-on manager in IE with wlscCtrl2.dll filename. Removing OneCare safety scanner is not necessary unless you will not be using it again. Definitions and program updates of OneCare Live safety scanner are automatically provided by Microsoft, if available. The updates will be downloaded and installed when you run an online scan again. OneCare safety scanner works by checking the system for malware and removes them for free. If the computer is full of temporary files that are causing Windows or other applications to respond slowly, the tune-up and clean-up scanner will defrag and clean the PC for free as well. The registry cleaner in OneCare safety scanner is safe to use because the scanner will automatically create a system restore point, in case the system or an application will not run properly after the registry clean-up. The examples below are the scan results for a Vista and an XP system using OneCare safety scanner. Windows Vista is malware-free and defragged in real-time by Diskeeper. The XP system on the other hand is infected with malware and has not run any tune up or clean-up scans for years. 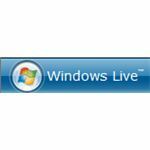 The safety scan by Windows Live on the infected and slow performing XP system has found lots of malware and junk files. Also, it detected that the hard-disk is fragmented. Some malware is not identified by OneCare but it detected the malware samples as 'likely infected.' Microsoft will request to submit the suspicious files for analysis. 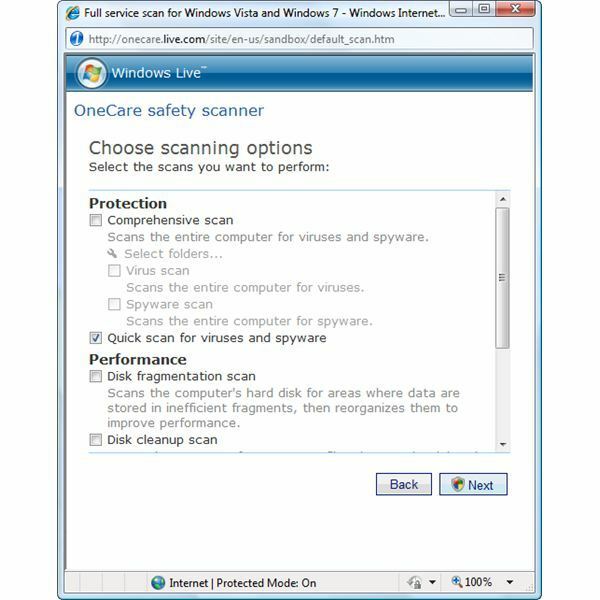 Windows Live OneCare safety scanner is correct and provides the correct scan results on all areas for the Vista and XP systems. OneCare live safety scanner by Microsoft does not provide real-time protection against viruses, Trojans, spyware or other type of malware. Use it as an online virus scan or on-demand scanner only. If you use OneCare safety scanner, ensure that System Restore in XP, Vista or Windows 7 is enabled so you can easily restore the computer to a previous system state, in case any issues occur. If you would rather not install third-party utilities to keep your computer in shape, take advantage of this online PC health scanner by Microsoft. It's free! Update: - Note that Microsoft has discontinued the above online scanner. It was replaced by Microsoft Safety Scanner, an on-demand scanner. Image credit: Windows Live logo by Microsoft, screenshots taken by the author.